After spending the majority of January working on the sprites for our four suspect characters in GENBA no Kizuna, I can finally say that they’re done! Well, Natsu still needs to take care of the coloring, but at least my part is done. That means that I won’t be going back to change/adjust anything beyond this point, as the designs are fully set in stone! If you’re a supporter on Patreon, you can already check out various previews. There are two WIP-images for each character and, as of yesterday, a sprite size test. Basically, I’ve been resizing the sprites for in-game use, trying to figure out the best sizes for each individual character, so that they look proportionally fine when displayed next to each other. Outside of that, you can also get an early look at the introduction cards for all four of them, displaying their ages, birthdates as well as their likes and dislikes. 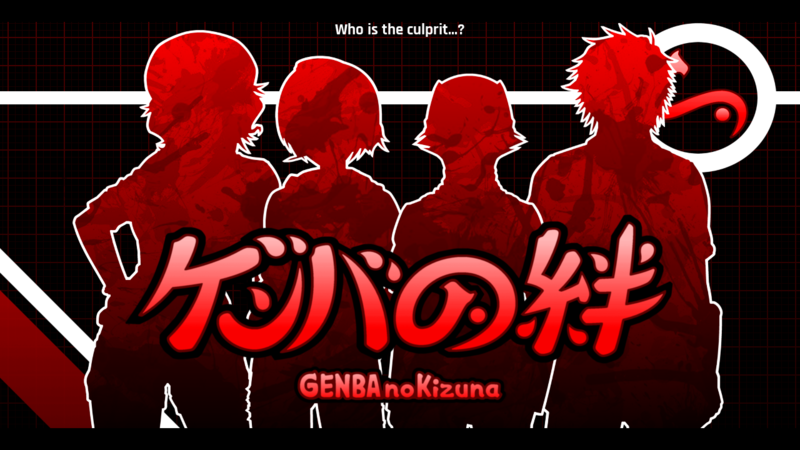 We will publicly unveil the final versions of these throughout February, however, so if you’re curious to see and learn a little about GENBA‘s culprit candidates, keep an eye on our Twitter during the next few weeks! Now speaking of February, what exactly are our plans for this month? 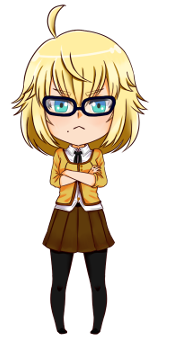 Well, although the base sprites have been completed, there is still some more sprite work left to be done. All the characters need a couple of variations with different expressions and slightly different poses. This is usually limited to the positioning of the arms, however, so it’s not going to be that much work. I’ll probably focus on Terano first, since he’s a very unique character. He’s definitely going to have a lot more sprite variations than his peers, but I guess I’ll get into that some other time. Before I get back to the sprites, there is one other thing that needs to be done, though: script revisions. While working on the sprites for our suspects, I had to think a lot about the scene they will be introduced in and made a lot of realizations in the process. Stuff like “Shouldn’t Keiichi be commenting on this when he sees this character for the first time?“, for instance. So basically, I want to revise the character intros a little bit. It’s one thing to come up with a scene in your mind and put it on paper. But once you have it go along with some visuals, you need to make it work with those. I was only reminded of that yesterday while playing Danganronpa 2. When the first victim was discovered, Monokuma began monologuing about how the victim’s expression left no doubt they were dead, going into excruciating detail to describe. Problem was, you couldn’t see the expression at all, because the victim was lying flat on their face. There were, however, a lot of other, way more striking clues that the person was probably dead (like a ton of blood which wasn’t even mentioned by that silly bear). So this was most likely a case of the script being written before the writer knew what the CG would look like, and then not revising it to actually make sense with the CG (or change the CG instead). Either way, now that I have the finished sprites in front of me, I’m seeing some things that need to be adjusted writing-wise, so I’m going to do that and, in the process, update my asset list with the kinds of expressions/poses I will need for the next scene. “Bonds of the Crime Scene” does not only relate to the bonds that Keiichi is going to forge with his teammates throughout the investigation. It also refers to the bonds between the members of the “Raptor Pack“. Therefore, I decided to make an alternate version of the logo, featuring the silhouettes of our four suspects instead!